The members of Clean Design's Professional Services Team are experts at the repair and maintenance of commercial laundry equipment. Keep your revenue generators running, call Clean Designs today! Clean Designs can help architects plan and design on-premise laundries. BIM objects and CAD symbols are available through the UniMac website, in addition to spec wizards, technical literature, and even a free laundry planning and engineering handbook. Downloadable BIM objects of our most popular models are now available online. Our most popular models have CAD files online for your convenience. Proper planning occurs as early in the process as possible. Storage requirements, anticipated usage and accessibility to the laundry area are just a few of the important considerations. Clean Designs also offers Lunch & Learn Workshops for architectural professionals. You can also rely on our dedicated team of commercial laundry design experts to assist you. Choose from a variety of reasonably priced design service packages - from preliminary drawings to completed layouts. Give us a call at (303) 969-8288 and let our experts assist you in creating a cost effective design. With over 30 years experience in the commercial laundry equipment business, you can count on Clean Designs to provide expert solutions to cost effectively design and operate a commercial laundry room. Do you have a general idea of what you would like your laundry facility to look like? Clean Designs is available to help you get all of your ideas down on paper and fill in the details. Together, we'll go over room dimensions, window and door locations, accessory options, incoming utility line locations and commercial laundry equipment mix. The quick sketch and rough notes produced during this initial meeting can be turned into a professional and polished Preliminary Drawing that allows you to envision the final outcome. Once your mix of commercial laundry equipment has been determined, we recommend a Utility Schedule be created. This powerful tool allows you to see at a glance the requirements needed for electrical, drain, gas, exhaust/venting, water and more. It will be extremely useful when discussing installation of commercial laundry room with your general contractor. 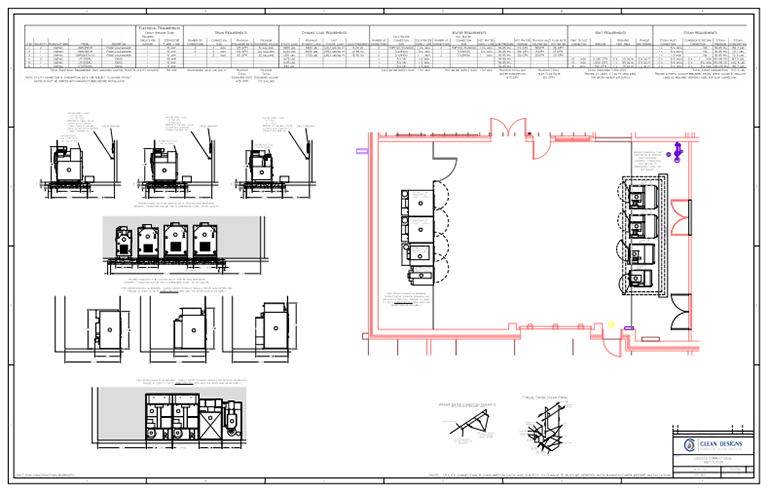 Details make the difference and our Construction Drawing will assist any architect, engineer or design/build professional in preparing permits and drawings quickly and accurately. This package includes four paper copies that detail such information as equipment elevations, foundation specifications and utility requirements for the laundry equipment to be installed. These files can also be emailed in .pdf, .dwg or .dxf file formats. 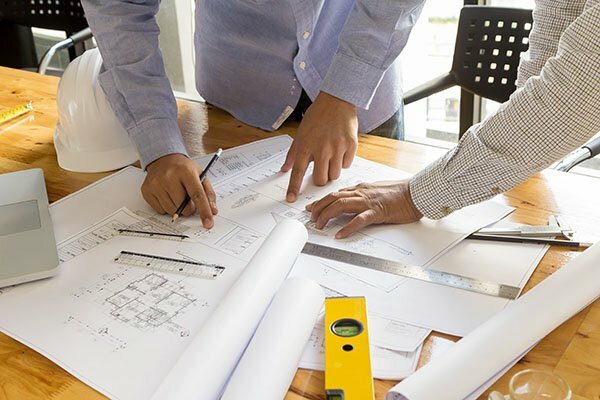 With this information in hand, your architect or design professional can reduce their turnaround time significantly, which, in turn, saves both time and money.